Harmonix Blog: Special Rivals DLC Release! Discover: ReverbNation Pack 01! Special Rivals DLC Release! Discover: ReverbNation Pack 01! We’ve got another free Pack for Rivals owners this week from our friends at ReverbNation! 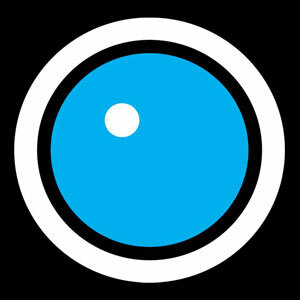 For over a decade, ReverbNation has been a pioneering force in the music industry. Using its extensive network of venues, festivals, brands, labels, and publishers, ReverbNation has helped millions of emerging artists get better feedback, wider exposure, and deeper industry access. ReverbNation is one of the largest online music platforms, offering tools and services to help bands manage and advance their careers. Its unique ability to provide artists with opportunities to connect with new fans is one of the reasons why ReverbNation is considered a premier taste-maker for the music and touring industry. Be sure to head over and check out the site for yourself! ReverbNation obviously loves music, and we here at Harmonix obviously love music, so we’ve teamed up again to show off more cool music, having previously combined forces along with Firefly Festival for a free Pack back in May. This time we wanted YOUR music to do the talking. Back in June, we put the call out to all of you. ReverbNation Artists could submit their music; we’d review the submissions and pick some great tracks that we’d be proud to include in our own Rock Band library. Thousands of artists responded and we got to work, listening to everything, sharing thoughts and opinions, gauging what it’d be like to play in Rock Band. A lot goes into a fun Rock Band track, since everyone has opinions on what makes something fun. Big choruses, great hooks, fun riffs, tons of variety. There was a lot of heated debate to be had. What we’ve ended up with are four acts that are just that: fun. Discover: ReverbNation Pack 01 is full to the brim with good times, strong instrumentation, great singing, the works. Be sure to play through it (there’s even a Badge for sharing the fun and playing them in a band!) and find new songs for your rotation. Discover: ReverbNation Pack 01 is free for Rivals. 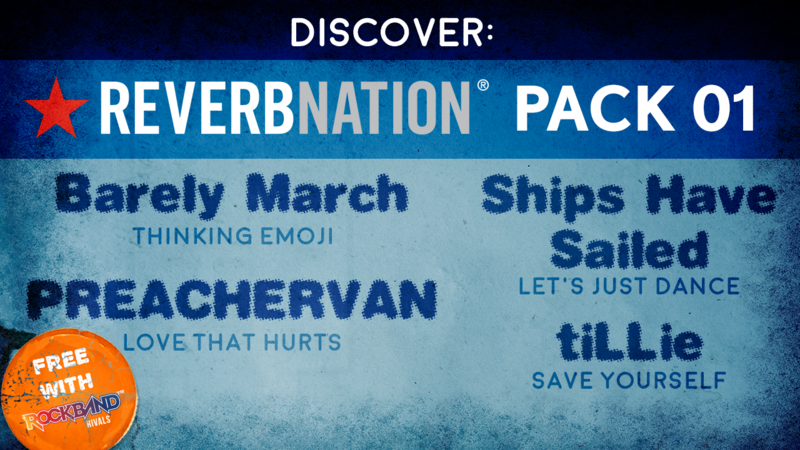 Barely March - "Thinking Emoji"
PREACHERVAN - "Love That Hurts"
Ships Have Sailed - "Let's Just Dance"
VIDEO: Rock Band 4 DLC Week of 11/08: Discover: ReverbNation Pack 01! * Please note that this week’s DLC tracks will be available to Rivals owners on Thursday, November 8th.